There are many reasons a family might begin homeschooling on a temporary basis. Some are excited about the idea of home educating their children, but they aren't sure homeschooling will really work for their family. So, they opt to homeschool for a trial period, knowing that they will evaluate the experience and make a permanent decision at the end of their trial. Others know from the start that their foray into home education is only temporary. Temporary homeschooling may be the result of illness, a bullying situation, an impending move, an opportunity to travel for an extended time, or a myriad of other possibilities. Whatever the reason, there are some steps you can take to make your homeschool experience a positive one while ensuring that your student's transition back into a traditional school setting is as seamless as possible. Homeschooling parents who return their children to public or private school may be asked to submit standardized test scores for grade placement. Test scores can be particularly crucial for students re-entering public or private school after 9th grade. Without these scores, they will likely have to take placement tests to determine their grade level. This may not be true for all states, particularly those who offer assessment options other than testing for homeschoolers and those that don’t require assessments. Check your state’s homeschool laws to see what may be expected of your student. If you know or are relatively confident that your student will be returning to school, ask your school administration precisely what will be required so that you can make sure you have what you need. If you know that homeschooling will be temporary for your family, take steps to stay on target, particularly with concept-based subjects like math. Many curriculum publishers also sell materials for homeschooling families. You may be able to use the same curriculum your child would be using in a traditional school setting. 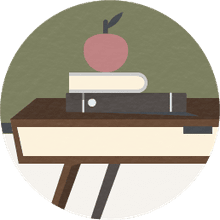 You might also inquire about the learning benchmarks for your student’s grade level and the topics that his or her peers will cover in the upcoming year. Perhaps your family would like to touch on some of the same topics in your studies. Don’t be afraid to dig in and enjoy your temporary homeschool situation. Just because your child’s public or privately schooled classmates will be studying the Pilgrims or the water cycle doesn’t mean you have to. Those are topics that can be easily covered on a need-to-know basis when your child returns to school. If you are traveling, take advantage of the opportunity to explore first-hand the history and geography of the places you’ll be visiting, something that would be impossible if you weren’t homeschooling. Visit historical landmarks, museums, and local hot-spots. Even if you aren’t traveling, take advantage of the freedom to follow your child’s interests and customize his education during your foray into homeschooling. Go on field trips. Delve into topics that captivate your student. Consider ditching the textbooks in favor of historical fiction, biographies, and engaging non-fiction titles on topics of interest. Study the arts by incorporating visual arts into your homeschool day and by attending plays or symphony performances. Take advantage of classes for homeschoolers at places such as zoos, museums, gymnastics centers, and art studios. If you’re moving to a new area, make the most of learning opportunities as you travel and take time to explore your new home. Even though you won’t be homeschooling long-term, getting involved in your local homeschooling community can be an opportunity to forge life-long friendships for parents and kids alike. If your student will be returning to the same public or private school at the end of your homeschool year, it makes sense to maintain school friendships. However, it’s also wise to give him or her the opportunity to foster friendships with other homeschoolers. Their shared experiences can make homeschooling feel less awkward and isolating, particularly for a child who may feel caught between two worlds in a temporary homeschooling experience. Getting involved with other homeschoolers can be especially helpful for a child who isn’t particularly excited about homeschooling and who may think homeschoolers are weird. Being around other homeschooled kids can break the stereotypes in his mind (and vice versa). Not only is getting involved in the homeschooling community a good idea for social reasons, but it can be helpful for the temporary homeschool parent, too. Other homeschooling families can be a wealth of information about educational opportunities that you may wish to explore. They can also be a source of support for the difficult days that are an inevitable part of homeschooling and a sounding board about curriculum choices. If needed, they can offer tips for tweaking your curriculum to make it work best for your family since completely changing any ill-fitting choices probably isn’t feasible for short-term homeschoolers. Finally, be prepared for the possibility that your temporary homeschooling situation may become permanent. Even though your plan may be to return your student to public or private school, it's okay to entertain the possibility that your family might enjoy homeschooling so much that you decide to continue. That's why it's a good idea to enjoy the year and not be too rigid in following what your child would be learning in school. Create a learning-rich environment and explore different educational experiences than your child might have in school. Try hands-on learning activities and look for everyday educational moments. Following these tips can help your child be prepared for his re-entry into public or private school (or not!) while making the time that you do spend homeschooling something that your whole family will remember fondly.